In true German-style, we’re going to celebrate Oktoberfest in late September! I’ve got an amazing line-up of beers for you to try… and in standard fashion for the Women’s Forum, they’re not the typical German beers that you’ve all seen and tried. You’ll be trying all German microbrews, that are much more unique and complex in flavor. It’s another really exciting flight of beers and, of course, we’ve got a female-owned food truck coming out that night as well. Let’s Be Frank will be out to the brewery serving up the best snacks to have with a good German beer, franks and sausages of course! So be sure to arrive both hungry and thirsty! Come join in the exploration of rare German microbrews on Wednesday 9/21/11. The forum will start at 7p. The cost will be $15 and will include a flight sheet, the flight of amazing and rare German microbrews, and another great evening with the ladies. Looking forward to seeing you all soon! 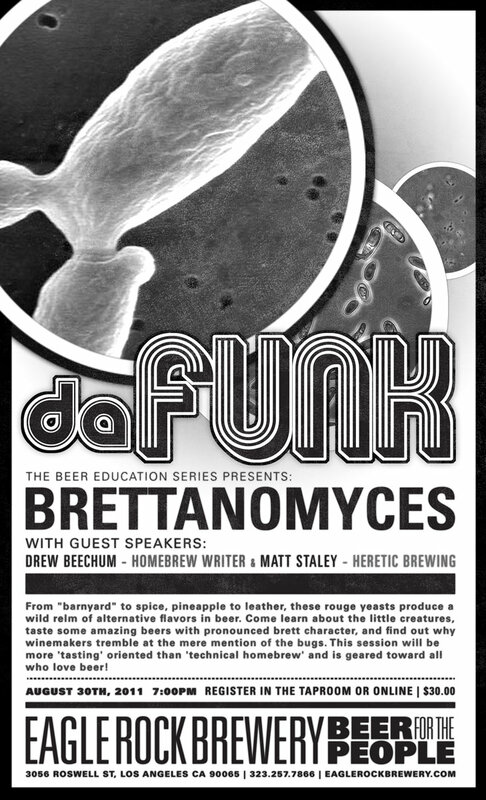 Next up in the Beer Education series: Brettanomyces! From “barnyard” to spice, pineapple to leather, these rouge yeasts produce a wild relm of alternative flavors in beer. Come learn about the little creatures, taste some amazing beers with pronounced brett character, and find out why winemakers tremble at the mere mention of the bugs. This session will be more ‘tasting’ oriented than ‘technical homebrew’ and is geared toward all who love beer! As usual, the taproom will be open early (6:00) for those attending, class from 7:00-9:00. See ya soon! Summer’s in full swing and it’ll be gone before we know it. So while we still have the opportunity, let’s enjoy some refreshing Saisons before they get replaced by the more robust beers of the fall. We’ll try some variations of this traditional farmhouse style, learn a bit about the style, and most importantly enjoy some QT with other beer-drinking ladies! The cost is $12 and will include a flight of deliciousness, a flight sheet, and a fabulous time. We’ll be pairing up with another female-owned food truck so be sure to arrive both hungry and thirsty!